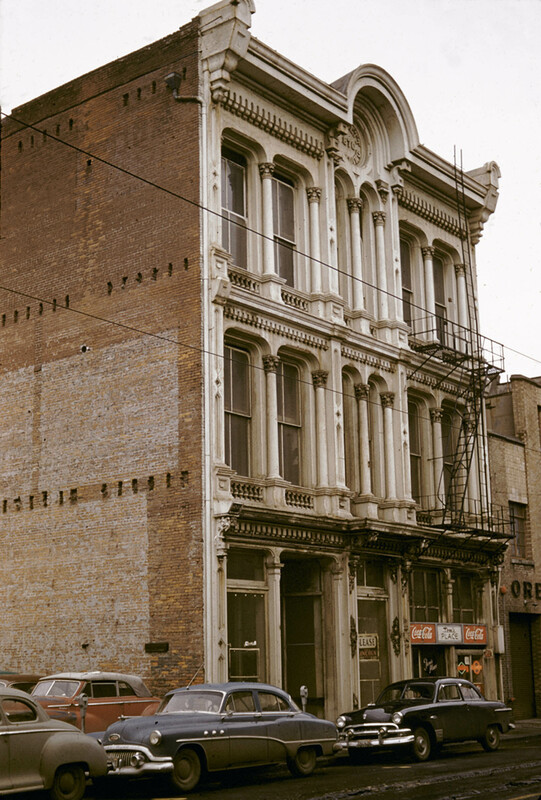 The 1870 Corbett Building was the first fully cast-iron fronted building in the city. It was also the only building to have its cast-iron pieces come from Baltimore, shipped around Cape Horn. Demolished two years after this photo, it was on SW 1st Avenue between Alder and Washington.